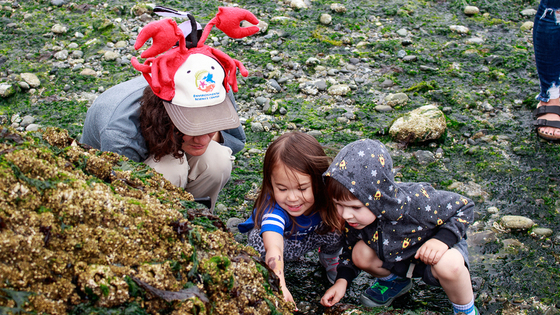 SEATTLE – Local neighbors and families are taking action to advance environmental programs in communities adjacent to the airport with the support of the Port of Seattle’s Airport Community Ecology (ACE) Fund. The Fall 2018 grant cycle recently awarded over $41,000 to six community non-profits in SeaTac, Burien and Des Moines to support environmental education projects. To date, twenty-one organizations received a share of almost $170,000 in matching grants since the Commission authorized the program in November 2016. The ACE Fund Small Matching Grants Program will distribute a total of $550,000 to non-profit organizations in SeaTac, Burien, and Des Moines to support communities near the airport over the coming years. Volunteers and students of Beach Heroes, a 2018 recipient of the ACE Fund, discover sea life under rocks at Salt Water State Park. Environmental Science Center, which serves the Highline School District through its Beach Heroes program, will empower over 1,200 students to be environmental stewards of the nearshore habitat, leading to positive behavior changes to improve water and habitat quality. DesMo Grows will maintain and expand the Midway Park Community Garden in Des Moines so that more neighbors can learn about and benefit from community gardening in their local park. Friends of Saltwater State Park will host habitat restoration and family-oriented education events organized by a group of residents representing forest stewards and marine life conservationists in Des Moines. New Start High School in Burien will improve neighborhood livability through urban forest restoration, education, and teen engagement through its New Start Sails program. 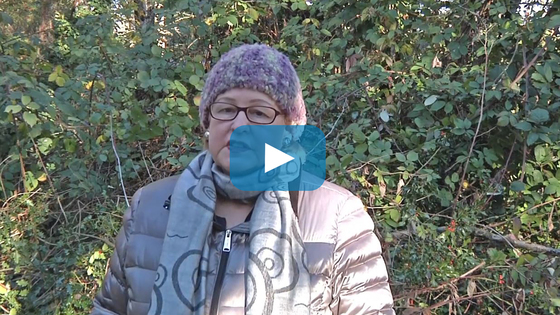 Weed Warriors will educate neighbors through its “Birds, Butterflies and Bees for Burien” initiative to establish wildlife habitats that provide needed and necessary food and nesting places for pollinators. Zero Waste Washington, working with the City of Burien and local businesses, will reduce plastics and litter that impacts aquatic and community health. The goal is to make park improvements that support pollinator habitat and host educational family-friendly workshops to encourage Burien residents to do what they can to save the bees, since they are so critical to our food web and ecology,” said Grace Stiller of Weed Warriors. This is the third round of funding provided by the ACE Fund Small Matching Grants Program. Recognizing that communities adjacent to the airport experience more impacts from operations, the Commission directed that the program support environmental projects and programs in the cities of Burien, Des Moines and SeaTac as those neighbors should also experience additional benefits. Operated by the Port of Seattle, Seattle-Tacoma International Airport (SEA, KSEA) is ranked as the 9th busiest U.S. airport, serving nearly 46.9 million passengers and more than 425,800 metric tons of air cargo in 2017. With a regional economic impact of more than $22.5 billion in business revenue, Sea-Tac generates 151,400 jobs (87,300 direct jobs) representing over $3.6 billion in direct earnings and more than $442 million in state and local taxes. 34 airlines serve 91 non-stop domestic and 28 international destinations including Canada, Mexico and seasonal operations.